How many times have you researched a topic online and shared your e-mail address in exchange for a “white paper”, only to receive a cleverly re-packaged promotional piece that offers little value? For many B2B marketing teams, a “white paper” is an opportunity to thinly disguise a product promotion as “information”, “data”, “case studies” or “solutions”. The original intent of white papers (yes, even before the Internet) was to help customers or prospects make a decision, explore technology or learn more about a subject. And that should still be the intent of marketers who embrace permission marketing; for what they lack in lead quantity, they will recoup in quality. The point is this: once prospects or customers recognize that a downloaded or e-mailed white paper is more or less shameless self-promotion, they may downgrade your firm’s credibility ranking. Content is King. Good content is absolutely vital. If your marketing department is used to peering at your products through a microscope, turn that around and make it a telescope. Take a wider view of an industry topic and explore the challenges that gave birth to your technology or product and talk in terms of process rather than product. Visual Appeal. Nobody wants a white paper that is wall-to-wall type. Design your white paper to include pull quotes and graphics that share crucial bits of information easily. Most readers absorb detail more readily when it’s presented in two or more visual formats. In addition, consider ways to depict details and facts as visual graphics, since they offer relief for the eye on type-heavy pages. Size Matters. Aim for a length of between eight and ten pages, inclusive of graphics, pull quotes and photos. Even readers who request detailed studies start to lose focus after about eight pages. Practice Restraint. It may tempting to include phrases like, “Our company offers just such a solution”, but that qualifies as editorializing – an inappropriate and ineffective practice that can distance a reader from the material and reduce the credibility of the message. Include case studies as appropriate to the message. Case studies are most effective when profiled firms have a genuine opportunity to deliver real content through challenges faced and conclusions reached - without a testimonial-like endorsement of your firm. Flag the White Paper As Exclusive Content. If you include your white paper as part of general navigation, you may receive greater interest from casual browsers. But if your white paper is developed as a landing page and shared through social media or even includes a search engine results page (SERP) summary, it’s more likely to benefit from the attention of qualified visitors. 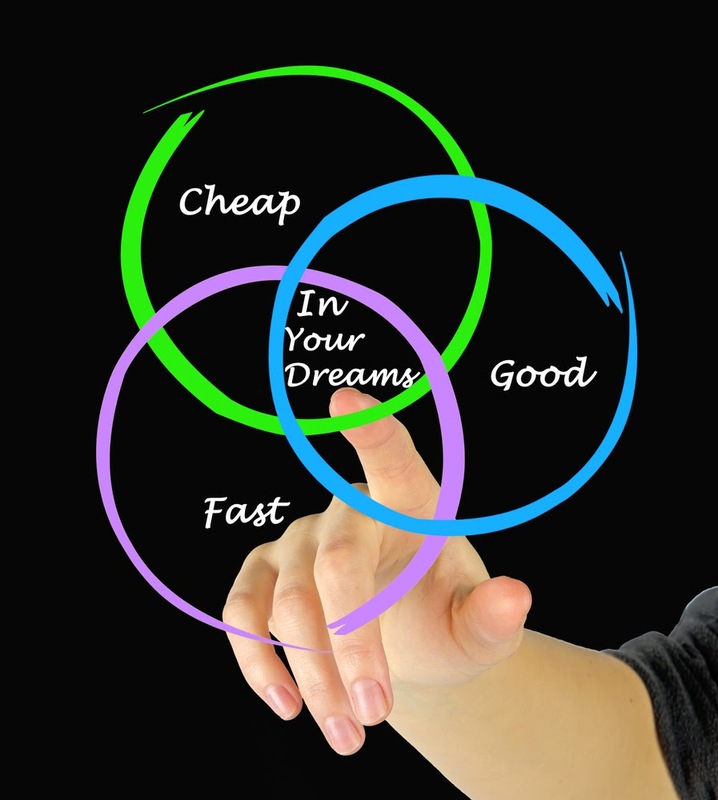 Consider budgeting for paid search through a cost-per-click (or CPC) campaign. This will ensure that interested parties who view your landing page are actively interested in a topic, the first step in a well-constructed marketing funnel. As marketers, we all recognize that white papers offer a unique opportunity to capture data, generate leads and help nurture prospects in a buying process. But let’s not forget that a white paper should be content-rich, audience-directed information, with a nearly “sales-be-damned” attitude. When the World Wide Web was born, business people all over the world realized they could reach a portion of their prospects by using early search engines. And suddenly huge chunks of marketing shifted seismically from traditional media to digital media. Today, for as much as we rely upon search engines for our heavy lifting, the web’s marketing focus is slowly turning toward “social” and away from “search”. Social media has leapfrogged past personal boundaries and has taken up residence in the business world. We would be foolish to ignore its presence, its possibilities, and its potency. Since we all know the best customer is a qualified one, one way for savvy business people to qualify a customer is to get to know those customers on social media. If you can initiate a dialogue on social media, you can create the form of a trusting business relationship. And that’s where true customer engagement is born. So unlike marketing of the past - where we talked about our brands, our business model, why we were better than competition – social media marketing requires we listen and share appropriately. Companies meeting their customers through Twitter, LinkedIn, Google+, Pinterest and Facebook are enjoying more developed, deeper relationships that have bonds lasting beyond a project or two. · Consider what meaningful information you could share with those parties interested in your industry. · Then outline ideas for a post within a social media forum suitable for your industry and your audience. · Next, prepare and compose the post with a planned adversity toward sales. That is, develop your thoughts with a tone that is decidedly non-commercial in nature. And if you’re listening to that little voice in your head screaming, “But isn’t the point to makes sales?” – the answer is yes. And no. The sales will come. But first you need to create your social media presence with pure intentions; developing a social media “mission statement” may help serve as a guide. Communicate meaningful ideas that generate conversation within a social media community. Inspire our contacts to share their own ideas on a topic. Seize opportunities to teach others. Respond quickly to customers or others who reach out to us. Address complaints, appreciate compliments, and answer inquiries. Enjoy the engagement of social media and use it to build deeper relationships. Be a networker. Embrace opportunities to “introduce” parties that may enjoy symbiotic objectives. Be more of a go-giver than a go-getter: we are prepared to give more than we get. 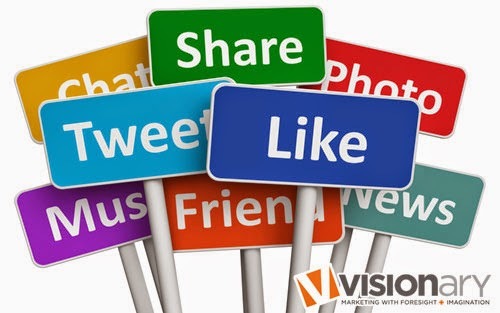 There are many reasons to embrace social media and make it a part of your company’s marketing. It may not seem practical at first; in fact, it may seem to be a waste of resources. But take heart: 77% of respondents in a recent study admitted that they were more likely to buy from a company whose CEO used social media. 82% said they “trusted” a company more if that company had a social media presence. Humans are social animals. We have discovered that joining together makes us more powerful, more successful and in many cases – more content. It’s why we build families, create communities, join teams and share knowledge. Social media is really just an extension of that – an online community that shares for the betterment of the members. So join in anytime. There’s a whole world waiting for you. We are a society on the move. Many of us eat in our vehicles, watch DVDs, map out travel plans, and use our mobile phones. Now that list is set to expand, according to the Wall Street Journal. Next week at the Consumer Electronics Show in Las Vegas, Google and German auto manufacturer Audi will announce that they are working collaboratively to develop in-car entertainment and information systems based on Google’s Android software. This move will allow vehicle passengers and drivers to access music, navigation, and other services available on the Android platform. Google says that there is also interest from Toyota and Tesla. Not to be outdone, Apple is staking out its own territory to add its technology into new vehicles. The company has said that it expects about a dozen carmakers to adopt Apple technology in 2014, citing the current support of automakers BMW, Daimler AG (Mercedes Benz division), GM, and Honda Motor Corporation. GM and Audi have announced plans to equip vehicles with fourth-generation cellular chips for connection to the Web without use of a smartphone. GM’s 2015 cars are expected to feature a constant wireless broadband connection. Ford announced that it is adding App integration to 3.4 million cars already on the road through a software update. 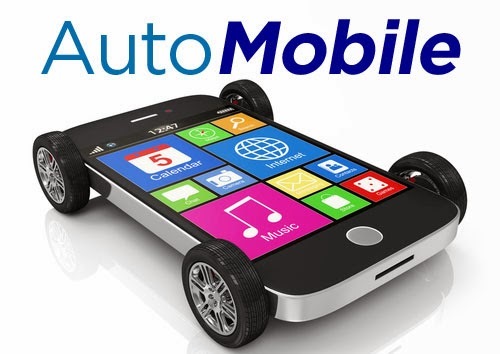 The goal, according to industry insiders, is that technology providers are seeking to advance the mobile agenda, producing technology that doesn’t require drivers to take their eyes off the road or hands off the wheel.